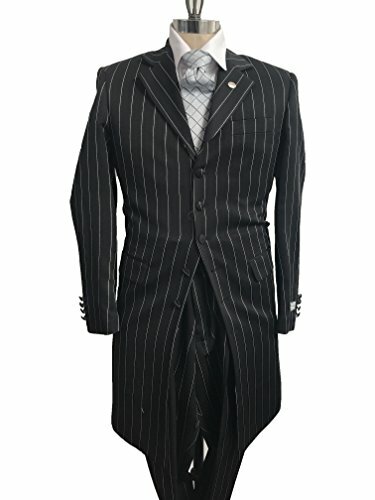 This is a brand new (factory hanger packed) men's three piece single breasted black pinstripe dress suit package. 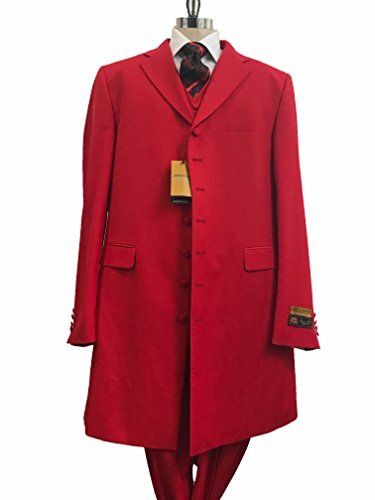 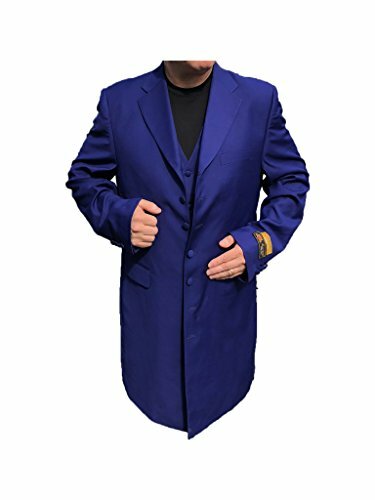 It includes a matching three button jacket, pants, and vest. 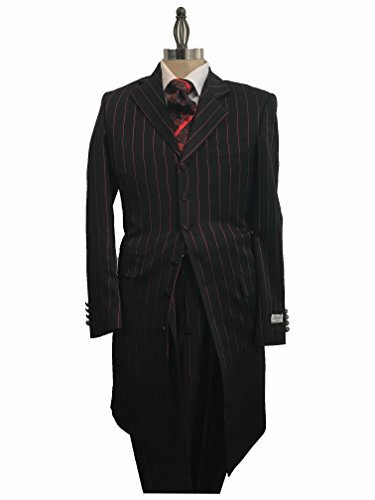 We're very sorry, but the hat is not included. 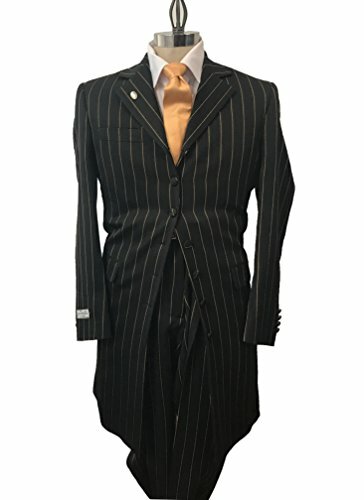 The suit has an industry standard six inch drop, meaning if you order a size 46 jacket it will come with 40 pants. 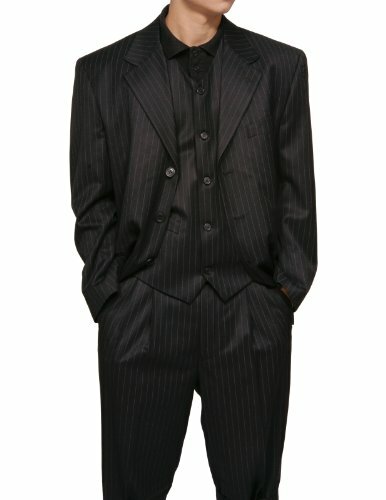 The pleated pants include an unfinished bottom to make altering an ease. 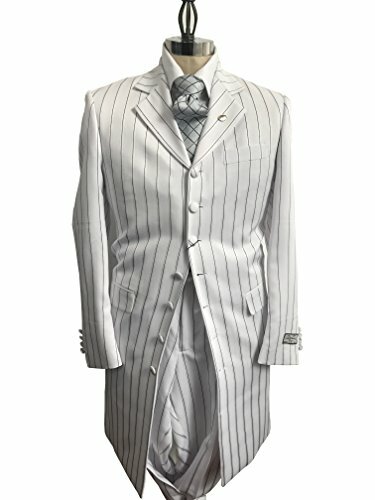 This suit will have you looking like a gangster any time of the year!